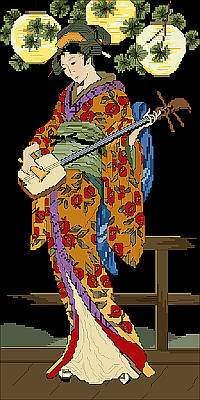 Oriental Beauty, this Geisha dressed in a sweeping kimono, playing her three stringed lute under Japanese lanterns. A style reminiscent of treasured Oriental designs. A unique heirloom to treasure and to be admired for many years to come.